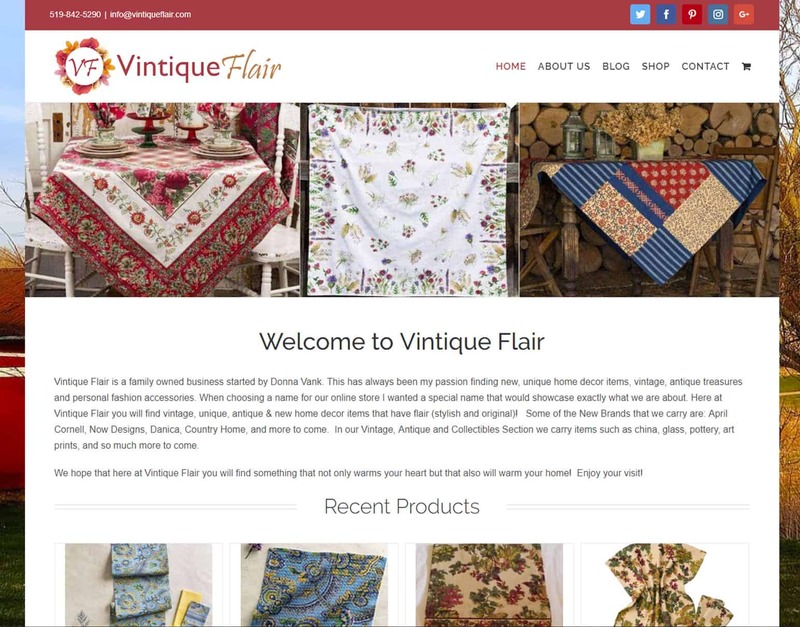 Vintique Flair wanted an online presence that had the same feel as the products they sell – vintage and antique. They wanted the ability to update their online products themselves. They knew what images they wanted featured on the design and required help with Search Engine Optimization. Our client was seeking an eCommerce website that not only highlighted their passion for vintage and antique home decor and fashion, but one that was easily searchable for visitors to shop their pieces and find key information on each product. Visitors can use various filters to shop based on category, tag, keyword, price, etc. Vintique Flair store owners are able to manage and edit their products, images and product information in the back-end of their site (their WordPress dashboard). That is the beauty of WordPress—it empowers our clients to make changes as they need to. This is our second time working with Adam of APM Solutions since 2005 when he built our first website. He suggested to me to have our first website updated which we have now we are thrilled with it. We also were in need of a second website for another business that we have and of course working with Adam in the past and the great job that he did for us, we knew that he was the only one for the job! You can trust & depend on Adam to do the job right for you! Building a site from scratch – he is a pro at!